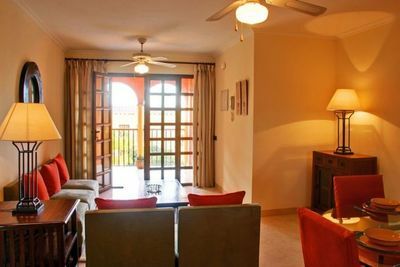 2 bedroom, 2 bathroom apartments located in the Desert Springs Resort within a Spanish style courtyard with communal pool. With views towards the sea from the large terrace these properties occupy an envious position within the Las Sierras development. 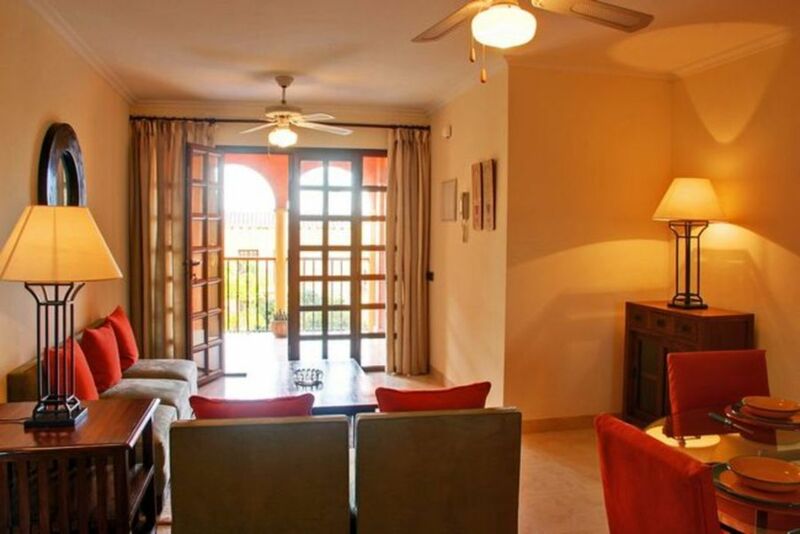 The property benefits from wooden and iron verandas and balconies and a wealth of external detail. 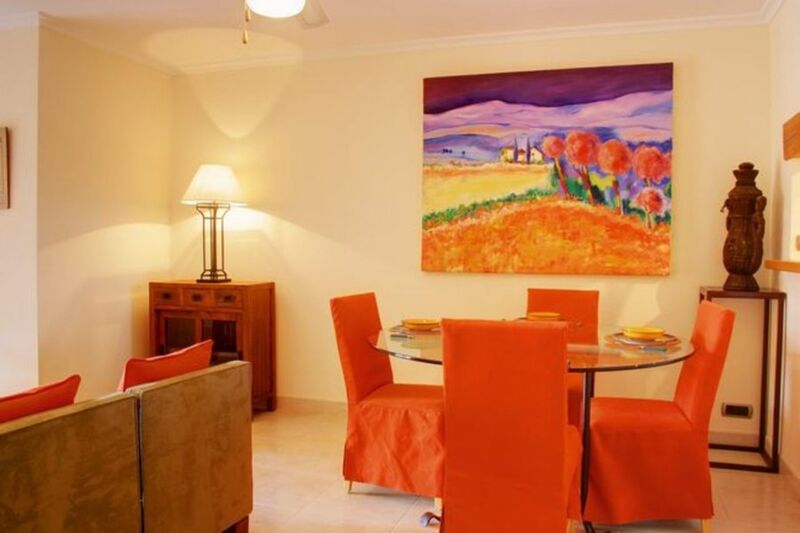 The property comprises high quality fittings, kitchen with granite worktop, attractively tiled bathroom and shower room. 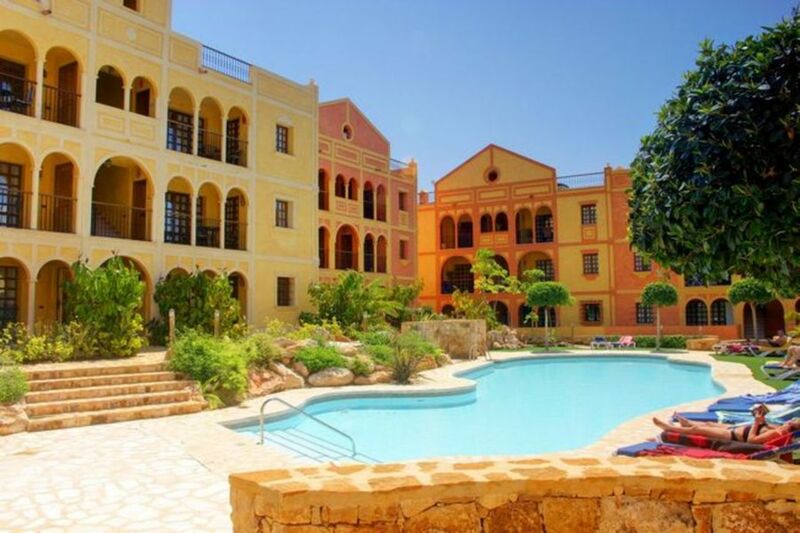 Details - 2 bed, 2 bath (1 en-suite), sun terrace, communal swimming and paddling pool, private roof solarium, communal gardens, parking area, gated community with 24 hour security. The epitome of Luxury, Comfort and Style, Desert Springs Golf Resort is the top award winning resort in Spain. Offering a complete quality lifestyle, superb scenery and climate plus properties of the highest quality. Desert Springs is Europe’s first desert golf resort set on a plateau between Cuevas del Almanzora, famous for its troglodyte caves, and the charming fishing village of Villaricos. You don’t need to be a golfer to appreciate the wild and rugged landscape which enfolds the lush green fairways, rocky streams and waterfalls of this remarkable desert paradise. Properties come with combined air cooling and heating units, solid wood fitted kitchen units, quality branded white goods, including oven, hob, fridge / freezer and washing machine fitted in the utility area. 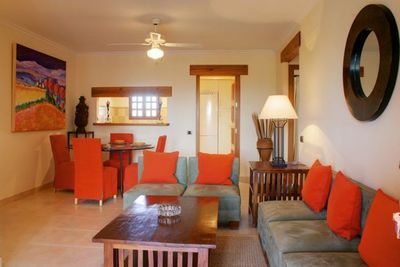 A passive infra red security system and private swimming pool plus garage with villas, apartments have a communal pool. 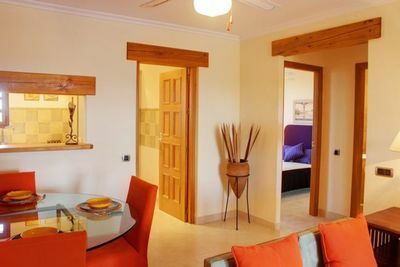 Each of these properties comes fully furnished with A/C, ZERO maintenance fees, two-weeks worth of personal usage per annum and a Guaranteed Return On Investment (ROI) of 5% of the purchase price per annum for 10- years. The properties are sold FREEHOLD, with a 10 year Management Contract in place with Playas del Almanzora SL. who have a contractual obligation to market, manage and maintain the properties for commercial purposes and for their operational benefit. 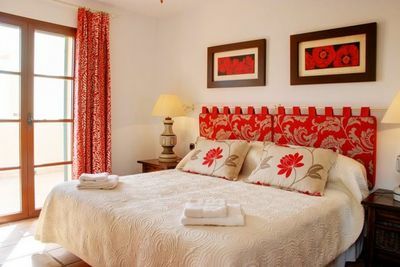 Each Property has use of the covered parking areas and of the gardens and swimming and paddling pools, all maintained by the Las Sierras Community. The price does not include the V.A.T. (10%). As reservations may only be made after a visit to the development, prospective purchasers must check immediately prior to their visit, the remaining availability of the properties and the prices that will be current during the month of their visit, in order to reduce the risk of disappointment.